The competition will now be open for entries until December 21st at midnight. 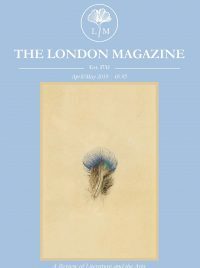 Over the course of our long history, The London Magazine has published short stories by some of the most acclaimed writers of the form, from Jean Rhys to V. S. Pritchett. In our annual Short Story Prize, we seek out new voices to join them. Established to encourage emerging literary talent, the award provides an opportunity for publication and recognition, as well as rewarding imagination, originality and creativity. At The London Magazine we are looking for work from writers around the world in any genre, the only guidelines being that the stories are previously unpublished, and at a maximum length of 2,500 words. Entry fee: £10 per short story | Student entry: £5 per story (entrants must submit their stories using a valid university email address). Note: There is no limit to the number of entries you can submit. 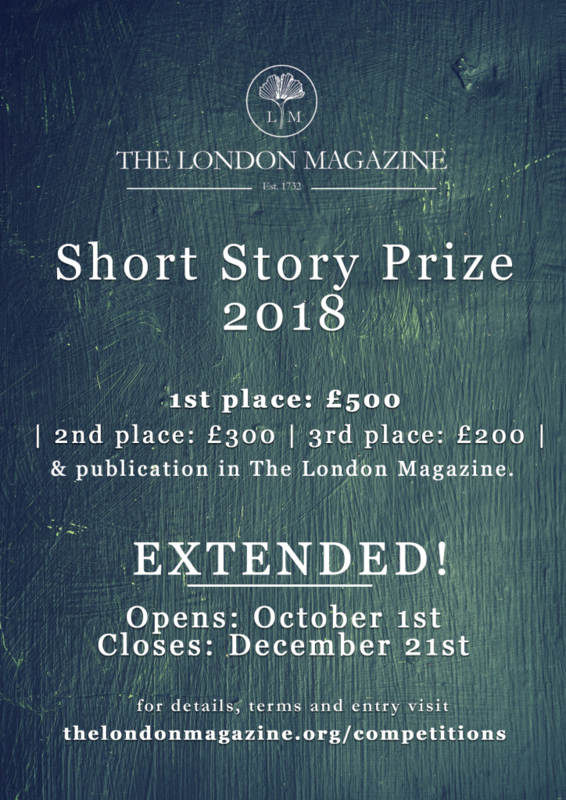 The story that wins first place will be published in a future print edition of The London Magazine. The second and third place stories will be published on our website. Prize winners will also be invited to a reception in London in early 2019. 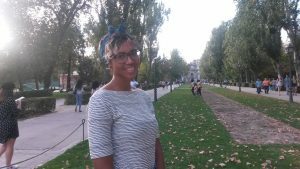 Layla Benitez-James is a writer, translator and artist living and working in Spain, where she serves as Director of Literary Outreach for the Unamuno Author Series in Madrid. Layla also serves as Podcast Editor for Asymptote Journal, and her poems and translations have appeared in The Acentos Review, Anomaly, Guernica, Waxwing, Revista Kokoro, La Galla Ciencia, and elsewhere. Her audio essays about translation can be found at Asymptote Journal Podcast. Her first chapbook, God Suspected My Heart Was a Geode But He Had to Make Sure was selected by Major Jackson for the 2017 Toi Derricotte & Cornelius Eady Chapbook Prize and published by Jai-Alai Books in Miami, April 2018. 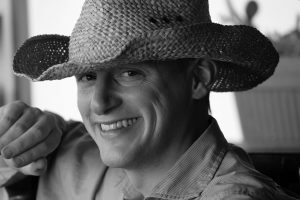 Samuel Fisher‘s debut novel, The Chameleon, was published by Salt in 2018. 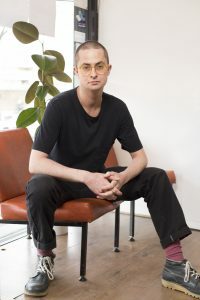 He runs a bookshop in East London called Burley Fisher Books, and is a director of Peninsula Press. Harry Mount is the Editor of The Oldie. He is author of Amo, Amas, Amat and All That, as well as Odyssey – Ancient Greece in Odysseus’s Footsteps.